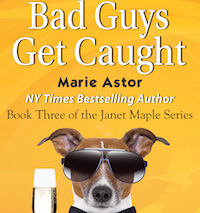 New York Times and USA Today bestselling author Marie Astor writes fast-moving plots with smart heroines and hot male leads. In her spare time, Marie enjoys being adventurous out-of-doors. She often gets new story ideas while hiking up a mountain or trying to avoid bumping into a tree while skiing. Whether you’re looking for a fun vacation read or just want to escape reality for a few hours, you’ll find it in Marie’s light romantic mysteries and contemporary romances. 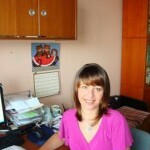 Marie loves hearing from readers and always answers all of her emails personally.